Join us for an evening of live student performances presented by JMC Academy’s Music Department. 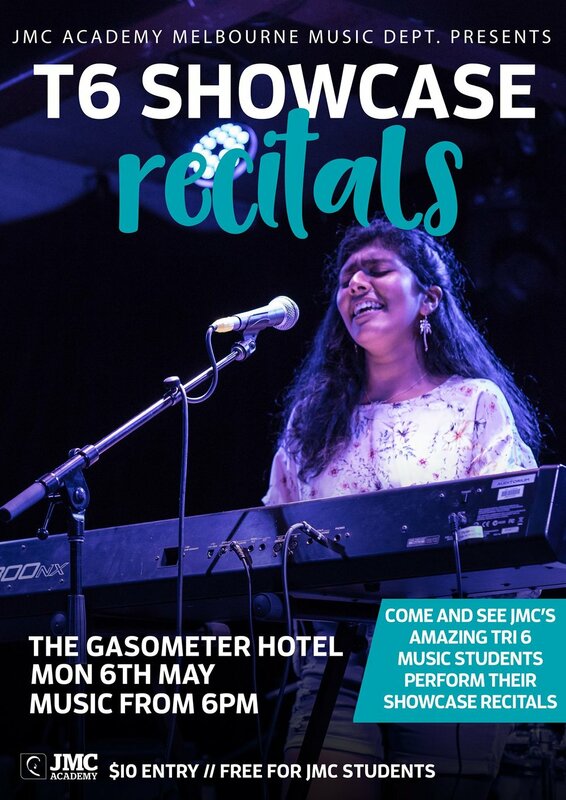 Featuring graduating recitals from Melbourne’s finest up and coming musos, you’re in for a night of fantastic tunes as a variety of ensembles showcase their work in a live setting. @ The Gasometer Hotel 484 Smith St Collingwood.